Dozens of people who have tweeted about the conflict in Indian-administered Kashmir or shown sympathy for Kashmiri independence movements online may soon be censored on Twitter, at the request of the Indian government. The US-based social media company sent notices to users explaining that the Indian government had reported certain tweets and Twitter accounts for violating Section 69A of India's Information Technology Act. Section 69A of India's IT act allows the government to block online content and censor when it believes the ‘said’ content can threaten the security, sovereignty, integrity or defense of the country. At first, I thought it was a joke, one of those fake emails you keep getting but then I looked more carefully and it was actually an email from Twitter. It is an attempt at intimidating those who post the truth that will never be shown by Indian media. It is meant to close this little window of social media where Kashmir appeared to the world as it exists on the ground. They doesn’t want the world to see how it keeps its hold on Kashmir and that is why they want Kashmiris blocked from social media. It is an attempt at intimidating those who post the truth that will never be shown by Indian media. It is meant to close this little window of social media where Kashmir appeared to the world as it exists on the ground. The notices appear to be part of a broader effort by the Indian government to limit online criticism of its military actions in the region. More than half a million Indian military personnel are deployed in India's northernmost state Jammu and Kashmir, where many Kashmiris reject Indian rule over Kashmir and have been fighting for independence or a merger with Pakistan, since 1989. During the recent clashes following elections, the heat of the violence was felt on social media. Based on recommendations of the committee and looking at the sensitivity of the request, it is hereby directed to Twitter to block/remove 115 Twitter handles/tweets in the interest of public order as well as for preventing any kind of cognizable offense. The correspondence claims that your account is in violation of Indian law. Please note we may be obliged to take action regarding the content identified in the complaint in the future. Please let us know by replying to this email as soon as possible if you decide to voluntarily remove the content identified on your account. What (and who) was blocked? None of the official documents released by either Twitter or the Indian government offer case-by-case explanations of why these particular tweets and accounts were singled out. A cursory glance at the accounts reveals a handful of ideological groups that perpetrate extreme violence, but aside from these, many of affected accounts belong to common citizens — activists, journalists, and civilians who have utilized the platform to highlight the atrocities Kashmiris face. 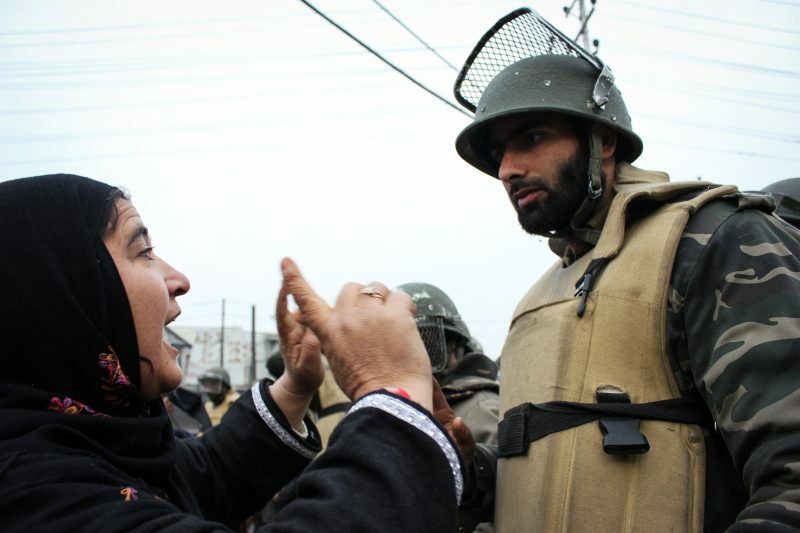 With the increasing reach of the internet and the emergence of social media, particularly Twitter and Facebook, Kashmiris began questioning Indian rule in Kashmir and reporting on human rights abuses. They posted videos of Indian armed forces torturing civilians, mutilating bodies of militants and vandalising public property. Government officials have indeed taken notice of social media's potency in the region. In April and May 2017, authorities ordered mobile internet operators to shut down services in Jammu and Kashmir for days on end. Social networks including Twitter and Facebook also were intermittently blocked. According to data on internet shutdowns collected by the Software Freedom Law Centre in New Delhi, Kashmir has recorded 29 instances of internet shutdowns since 2012. These figures are the highest in India. Kashmiri activists use social media to highlight violations of human rights and even everyday struggles in the heavily militarised zone. When tensions rise or protests ensue, the internet is often the first casualty. One especially powerful tweet by Khalid, which was among those reported to Twitter, pertained to an image of a young man being used as a human shield by Indian forces in Kashmir. Despite what some may think, a user's citizenship is not a relevant factor in determining the legality of their tweets. Twitter maintains a “country withheld” policy, under which the company may censor specific tweets in just one country, in response to a government order proving that the tweets are illegal under local law. Many countries have laws that may apply to Tweets and/or Twitter account content….if we receive a valid and properly scoped request from an authorized entity, it may be necessary to reactively withhold access to certain content in a particular country from time to time….Upon receipt of requests to withhold content, we will promptly notify affected users. This is not the first time US-based social media companies have grappled with the conflict in Kashmir. In 2016, social media giant Facebook ran into a major controversy after censoring journalists and activists who were posting pro-Kashmir content. Technology policy expert Pranesh Prakash urged Twitter to challenge the order, citing a similar past effort by Yahoo. Since 1990, an independence movement has been brewing in the Kashmir Valley. The region is the most militarized zone in the world and has faced numerous challenges including arbitrary detentions, forced disappearances and violent use of pellet guns by India's armed forces. In 27 years, more than 70,000 Kashmiris have been killed and many more have been injured or arrested in Indian military crackdowns. The latest weapon in this conflict seems to be the stifling of voices on social media platforms. As Prakash puts it, the question now is whether Twitter will summon the strength to challenge these requests in court.